Forever Lost in Literature: End of Year Survey Pt. II + A New Year's GIVEAWAY! End of Year Survey Pt. II + A New Year's GIVEAWAY! I have finally completed (or rather, fixed) the second part of my End of Year Survey, which consists of looking ahead to this year! I have also decided to host a giveaway to kick off the year, so keep reading to find out more about that below! Part I of this survey can be found here. Way, way too many. I really meant to get around to reading my ARC of Grey Sister by Mark Lawrence in December, but since I didn't I'm really hoping to get to it within the next week or so. Probably the final Nevernight Chronicles installment! Also, Tamora Pierce’s new novel, Tempests and Slaughter, is high on my most anticipated list. Again-so many! I'm really looking forward to Sky in the Deep by Adrienne Young, A Touch of Gold by Annie Sullivan, and... well, a lot more. This is the hard one! The final Nevernight installment, The Tower of Living and Dying (The Court of Broken Knives, #2) by Anna Smith Spark, Darksoul (Godblind #2) by Anna Stephens, Blood of the Gods by David Mealing, and Obsidio by Jay Kristoff and Amie Kaufman. Personally, I would love to host more giveaways, get involved with more blogging events, and just improve my blog overall. I'm looking to eventually redo my entire layout/etc., but that will probably take some time (and money!) so it might not happen right away. I want to focus more on making this blog an exciting place to come for book-related content and continue improving my connections with bloggers and those in the book world. Of course, this is all assuming that life doesn't get in the way and I have the time and ability to do all of these things. ;) The most important thing I want to do, however, is to have fun! I knew that I wanted to do a giveaway this month, but I had no idea just what to do. What genre would people most enjoy? What subject would be most interesting? Suffice to say, the decision was becoming a difficult one. 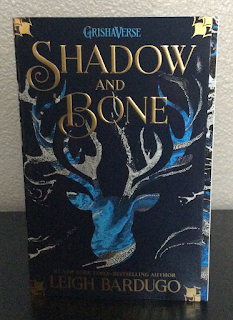 In the end, I was able to pick up a copy of the stunning new paperback edition of Leigh Bardugo's Shadow and Bone! 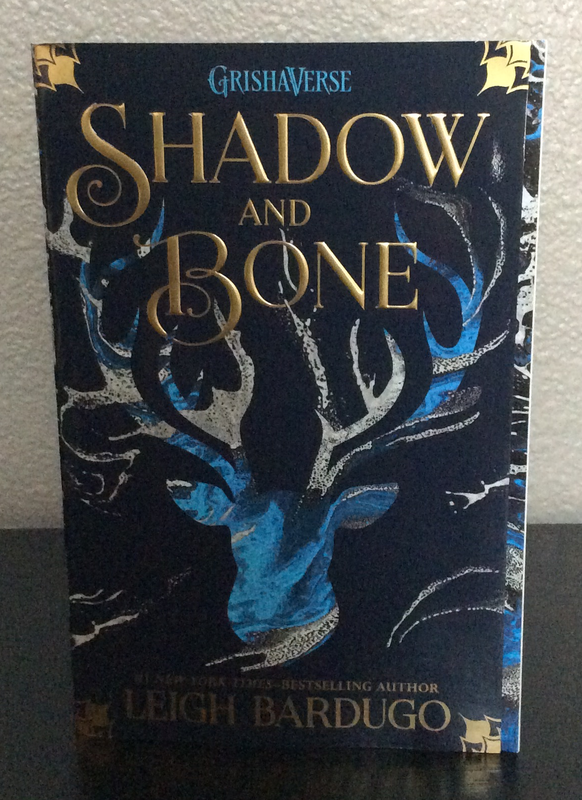 Even if I didn't love Leigh Bardugo already, this edition is truly gorgeous and I wanted to share the beauty with all of you! "Surrounded by enemies, the once-great nation of Ravka has been torn in two by the Shadow Fold, a swath of near impenetrable darkness crawling with monsters who feast on human flesh. Now its fate may rest on the shoulders of one lonely refugee. **Unfortunately, this is a US ONLY giveaway. I do not currently have the means to do an international giveaway, but one of my goals this year is to be able to host some sort of international giveaway, so stay tuned for that if you are not in the US! Please be sure to read the full giveaway rules and terms, which can be found here. *This giveaway is not sponsored or affiliated with Leigh Bardugo or Square Fish. Good luck! This giveaway ends January 31st! I already enjoy reading your blog, but I'm excited to see how you change things up this year! Looking forward to your new content! Tempest and Slaughter is high on my most-anticipated list too! It's been way too long since there was a new Tamora Pierce to look forward to. I'm just looking forward to conquering my growing TBR pile! I"ve made a lot of changes in my life over the past year. This year is the year I focus on self care, and I can't wait for all of the reading that comes with that!